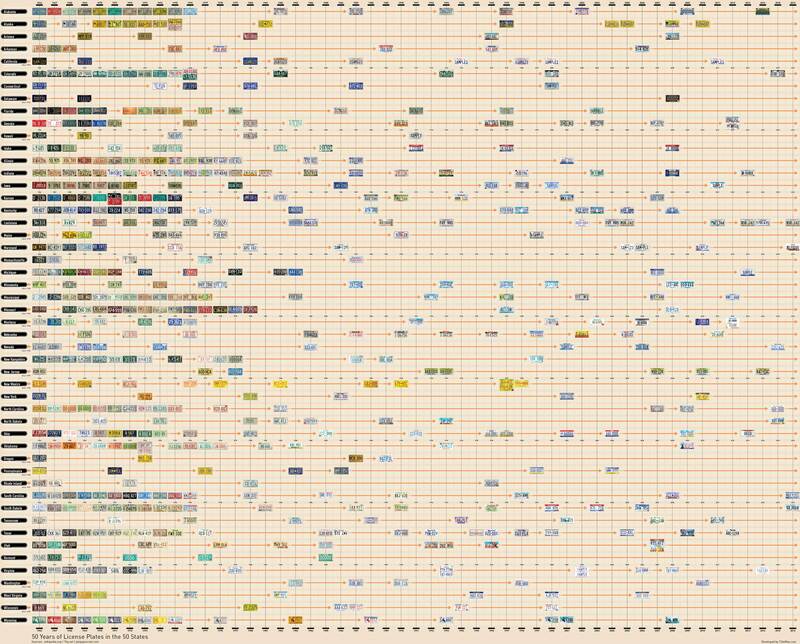 Our colorful system of hundreds of different license plates. In the U.S. we have a ridiculously colorful system of hundreds of different license plates. Let’s delve into how this monstrosity happened. Why were license plates invented, and why did we start using them? One might imagine that the implementation of the license plate was due to excessive traffic accidents or the need to hunt down criminals and that early drivers were annoyed and resistant, especially since many of the first plates had to be provided by the owner of the vehicle. But alas, no: In reality, it had to do with pettiness, the fear of technology, and resistance to change. The drivers simply were required to paint their initials on their vehicle to identify it. Obviously, this system began to fail quickly, as many people have the same initials, so it was later replaced by the state numbering system that started in 1903 in New York state. Meanwhile, drivers’ licenses weren’t required until the 1930s, and many of them didn’t even require a driving test at first. Are license plates unique across states? Why don’t we have federal license plates? Unlike the national license plate system of the Netherlands, which started in 1898, the license plate system in the U.S. is almost comically varied in numbering conventions, colors, and designs due to the fact that each state has its own laws and regulations. Licenses in general (like marriage licenses and drivers’ licenses), are not usually given on a national scale. The U.S government only offers license plates and assigns numbers to ambassadors, foreign diplomats, and federal vehicles (such as U.S. Postal Service vehicles). If the federal government did start consolidating the tax dollars and resources to give out plates nationally at this point, it would likely result in a huge, expensive, less-effective system. The reality we have now is that all 50 states, the territories, the District of Columbia, as well as some Native American tribes, use a colorful patchwork of plates, each with their own numbering systems. And that doesn’t even include the practice of vanity plates, which can feature sports teams or local landmarks. Why are license plates different colors/themes? Why and when do license plates change? Since each state has its own rules, each state’s authorities have their own frequency of re-issuing plates and reasons for doing so. 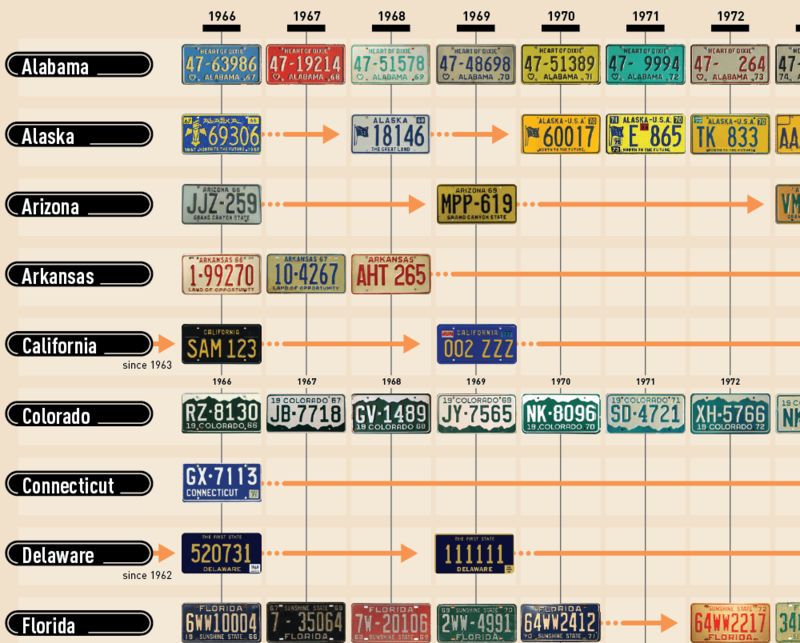 License plates were once re-issued every year, but now many states do so every five, seven, or ten years. Some states, like California, allow for “legacy” plates for historical purposes and nostalgia. Other states, like New York, phase old plates out slowly, over the span of several years, in which multiple designs of plates are acceptable. Since materials are now more weather-resistant, the practice of re-issuing plates is far less frequent. At least we — the wacky automobile drivers — don’t have to paint our initials on our cars ourselves anymore.